Grenoble is a city in southeastern France, located at the foot of the Alps in the Rhône-Alpes region. As of the 1999 census Grenoble had a population of 514,559, and as of 2007, this figure had risen to an estimated 552,547. Grenoble is a city in southeastern France. Grenoble is located at the foot of the Alps in the Rhône-Alpes region. As of the 1999 census Grenoble had a population of 514,559. 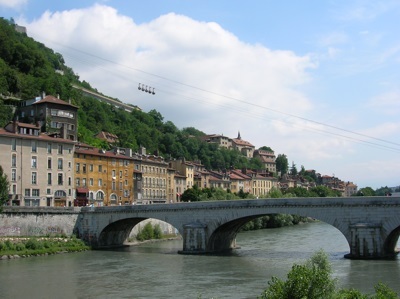 However, as of 2007, the population of Grenoble had risen to an estimated 552,547. Grenoble is located in the Rhône-Alpes region, and is the capital of the department of Isère. Grenoble is sometimes known in France as the "Capital of the Alps". Grenoble is an important scientific centre.